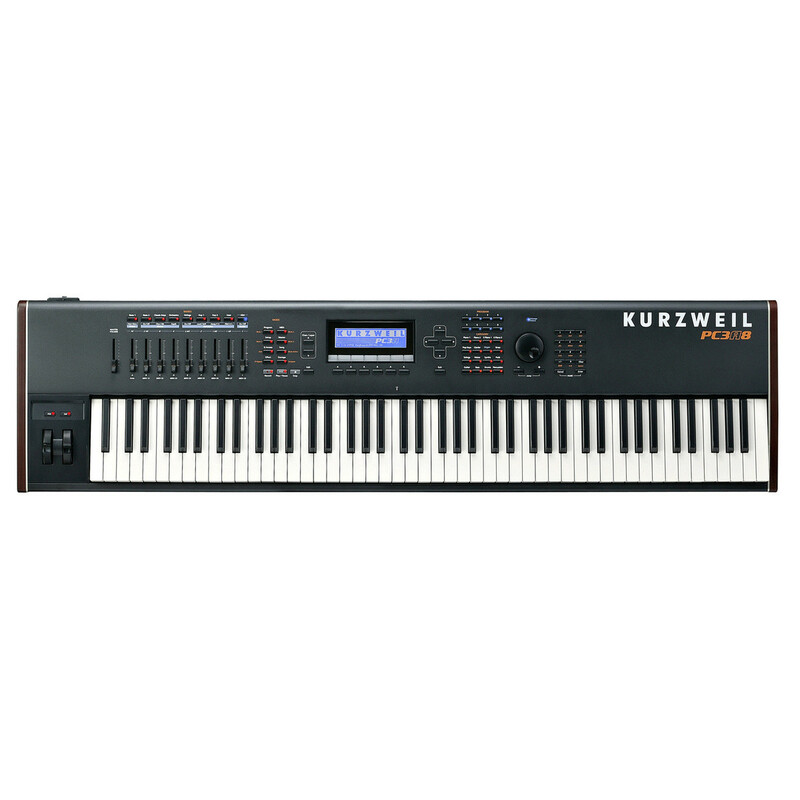 The Kurzweil PC3A8 Performance Controller is a 88 key hammer action keyboard which delivers a colossal amount of professional instrument sounds in one high performance unit. With 128 voice polyphony, 32 layer architecture and powerful built in KDFX effects unit the PC3A8 gives you total tonal control whilst the MIDI, USB and TRS connectivity make it perfect for live and studio applications. 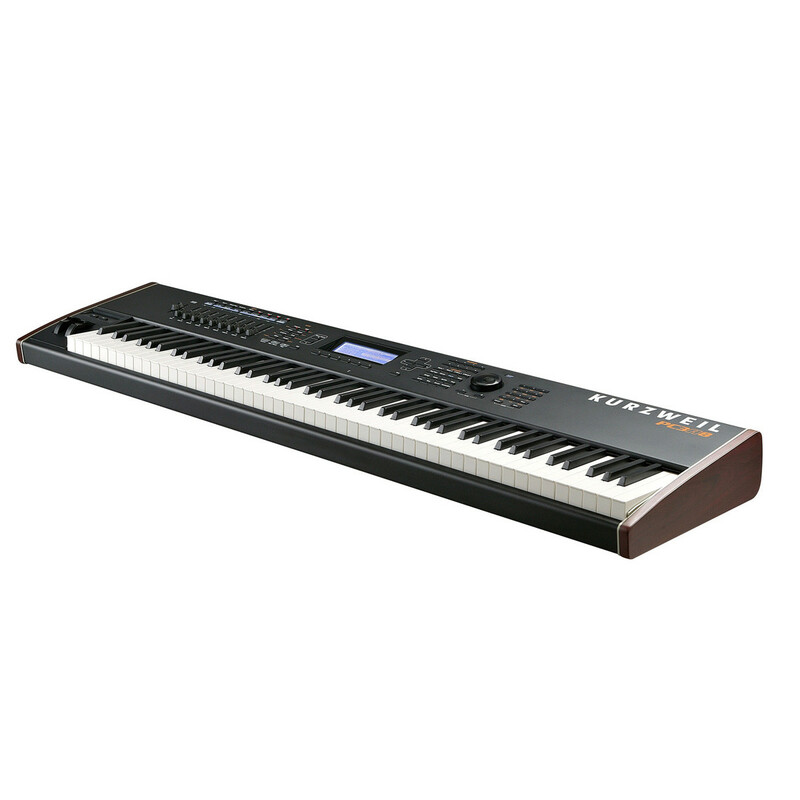 As with all the PC3 series the A8 features a huge variety of on board sounds and voices ranging from the new German D Grand Piano to the Kore 64 synth, guitar, drums and horn patches. Simply select your sound from the expansive library and start playing. Additionally you can also add unique digital effects to your sound via the KDFX unit which features most popular effects such as reverb, delay, phaser, compression and many more. 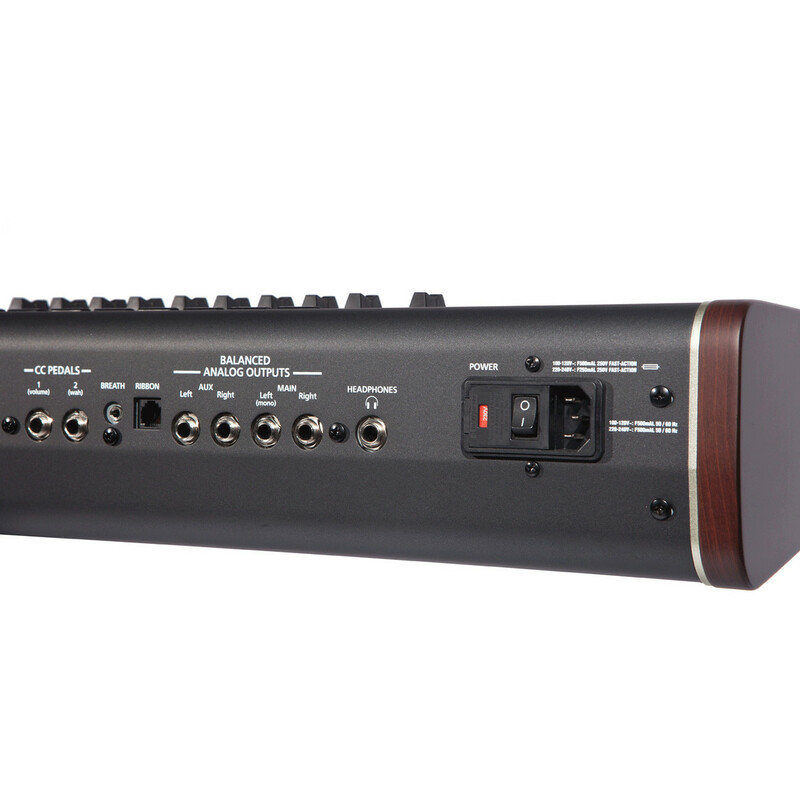 The PC3A8 incorporates an array of controls types such as mod wheels, faders, buttons and switches to allow you to manipulate and control your desired tone. 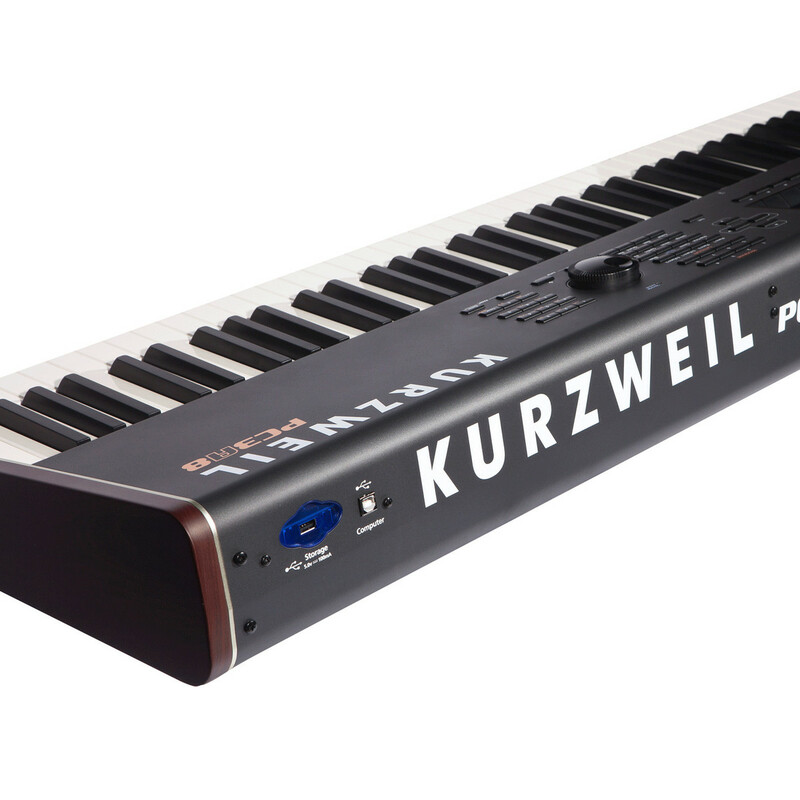 Also with the Setup Mode you have all the tools to take command of your live performances, featuring up to 16 independent zones, effects, controller assignments, triggerable pattern-based "Riffs" and 16 arpeggiators. Featuring both USB computer and USB flash drive connections you can connect your PC3A8 to your Mac or Windows based computer to allow saving/loading of patches and operating system updates. 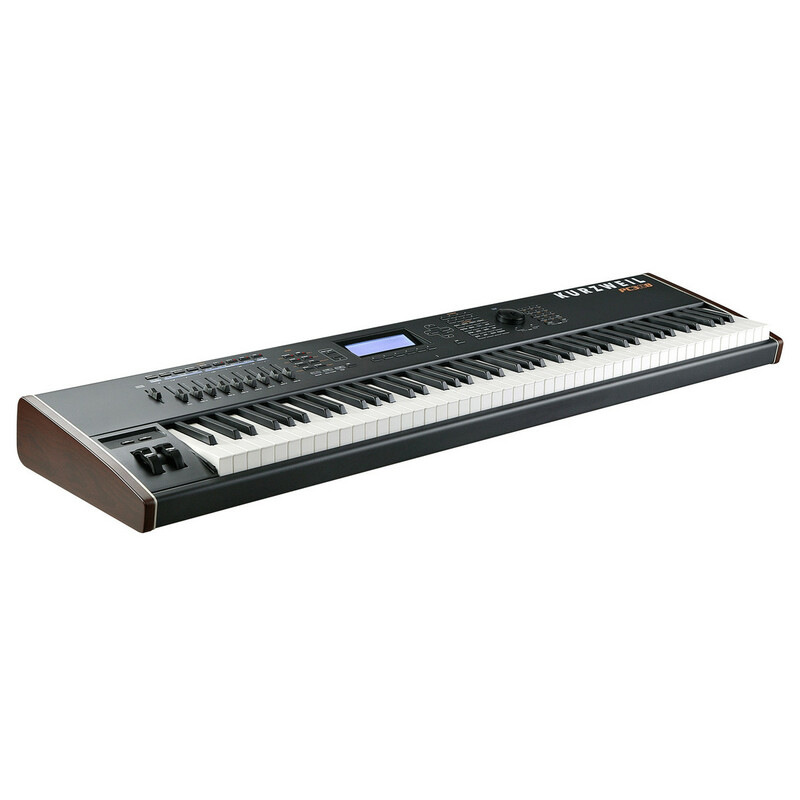 This usefull tool means that you can carry all your sounds required for a live performance on one small USB flash drive to save set up time. 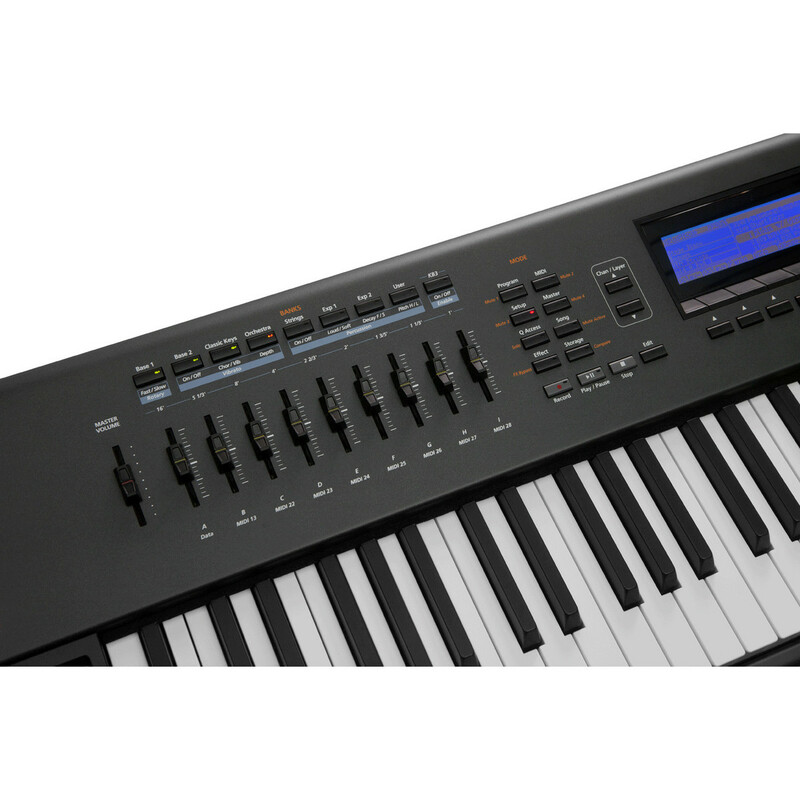 Furthermore there is also MIDI in, out and thru connections located to the rear of the unit for direct integration into your DAW and other MIDI devices.